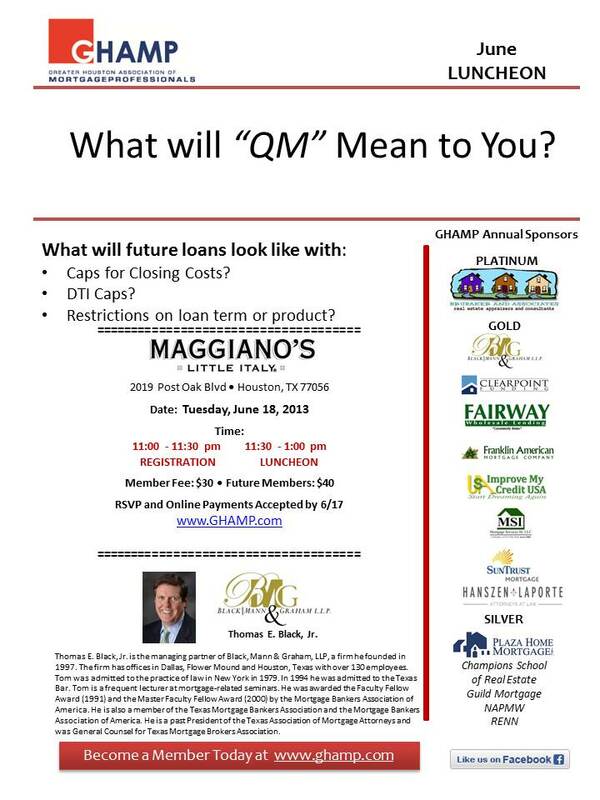 Greater Houston Association of Mortgage Professionals - What will "QM" Mean to You? What will "QM" Mean to You? Membership has its benefits! enjoy your $10 off your luncheon cost! QM is around in the corner and starting to make news. Come and learn what has changed, what will be implemented and how will it affect your business. Come and listen to what Tom Black Jr., industry expert and lecturer of mortgage related seminars has to say on the subject. Be in the know with GHAMP.